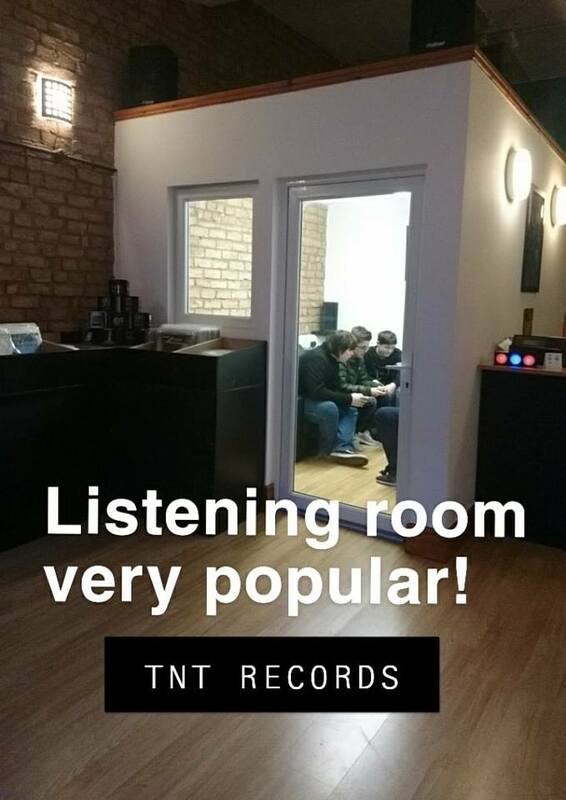 TnT records in Barrow stocking a selection of new and secondhand vinyl records and CDs, merchandise and other collectible items. 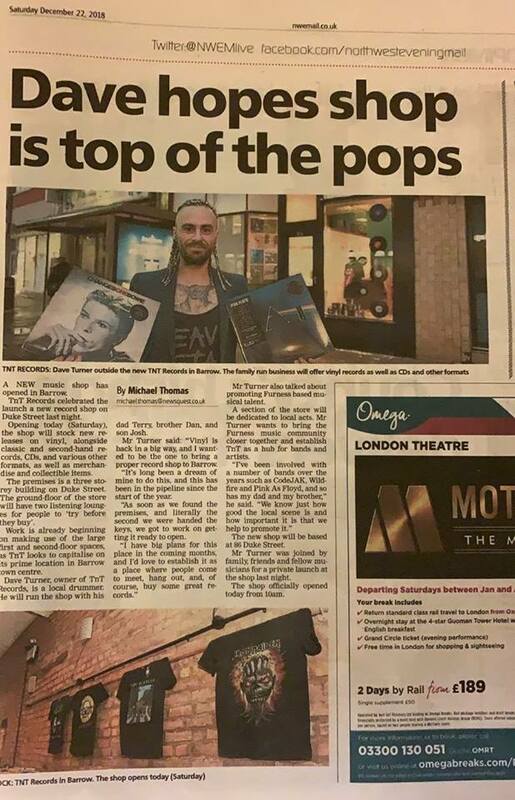 Opened in December 2018 by a local musician, David Turner who wants to establish it as not only a record shop shop but also as a hub for local miscians. Very friendly and helpful service. Lots of hidden gems waiting to be dug out! Excellent service and the people who run it are amazing! id recommend to everyone. Great place with great staff backed up by really good customer service. The vinyl I purchased was jumping on one track. Took it back and they professionally cleaned it within the hour. Great customer service and there was nothing but a positive attitude from the owner. I’ll be back to browse and purchase further records. I hope this business is supported locally. Excellent, perfect for barrow make sure your there brilliant staff. Quality selection available, prices are VERY Reasonable. 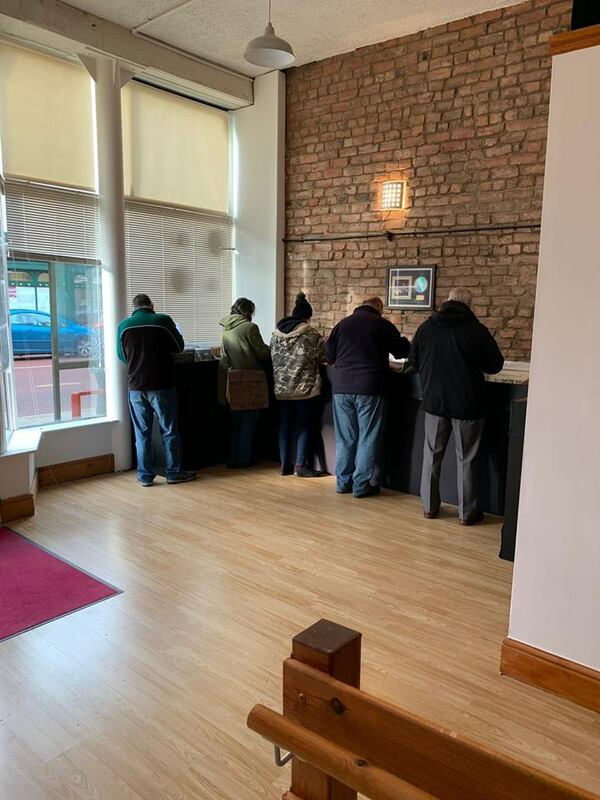 Absolutely love the atmosphere in there too, chilled out and positive. No where else in South Lakes I know of where I can just chill out and listen to some quality tunes in comfort. Staff are knowledgeable and offer a welcoming environment to relax. In short, you have to go down to the shop and check it out for yourself, you will not be disappointed, they cater to everyone. 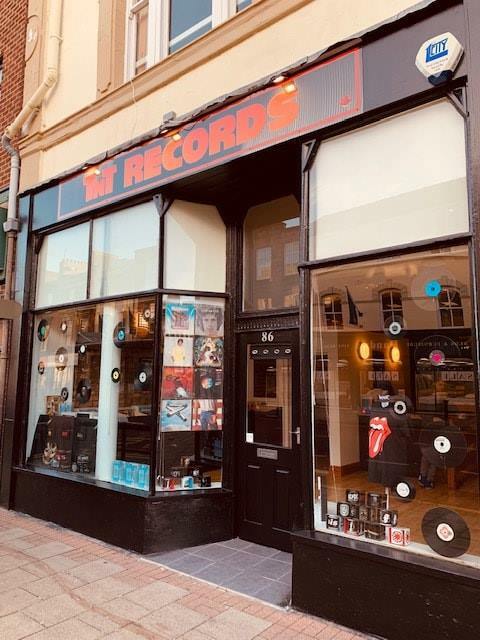 An awesome shop with a massive range of new and used vinyl and all sorts of other merch. Really helpful staff too. Just what the town needed!